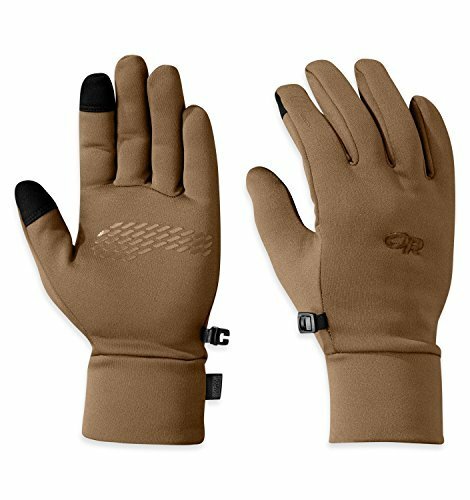 » The Top 3 Best Touchscreen Gloves: Stay Connected and Warm! The Top 3 Best Touchscreen Gloves: Stay Connected and Warm! As smartphones have become all the rage, many people (especially in winter) often find themselves having to take their gloves to check something on their phones. This gets frustrating and sometimes the exposure to cold can make it difficult to keep your hands warm. Rather than just dealing with the problem, you can solve it by buying a pair of gloves that are touchscreen compatible. There are a lot of models on the market that promise precision and sensitivity, but these 3 truly live up to their claims. The Sierra Glove by Icebreaker is a great all-around lightweight glove for outdoor and casual wear in winter. This is a light glove so is best worn alone in mild winter temperatures if you’re going to be outside for a very long length of time. It can also double as a thick liner glove for frigid temperatures. Merino wool has similar benefits to other types of wool. It is excellent for temperature control so the gloves will trap in the heat when you are in cold weather but remain cool in warmer weather. The material is breathable which further helps with temperature control and helps prevent clamminess by releasing moisture. The Sierra gloves also are naturally antibacterial so you can go longer without washing. These gloves have also been treated with nano water-resistant technology. By no means are these waterproof but they will stay dry for longer than other non-treated merino wool gloves. Another benefit of the Sierra gloves is that even when they do get wet, even soaked, they will dry incredibly fast/overnight. Because of their antimicrobial properties, they won’t smell or need a wash after having been soaked and dried out either. Even though they only come in men’s sizing, majority of women find that the XS and S gloves fit their hands very well. Icebreakers has these listed as a regular fit but they are definitely more form-fitting and don’t have a lot of excessive fabric. This really helps with the touchscreen compatibility- which also works very well and reliably with these gloves. 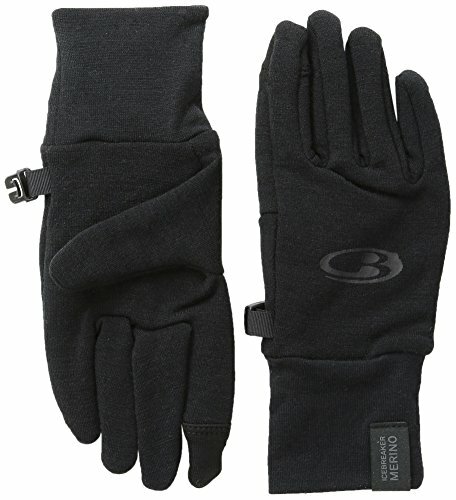 This is a thin, lightweight glove so don’t expect it to last for more than a winter season of daily wear or heavy use. Simply put, these aren’t work gloves. They will work great for most outdoor activities but obviously don’t offer the same protection as heavier nylon or leather materials. These gloves are very well made and the company also offers excellent customer service if you happen to have a problem. The North Face is quite popular for their apparel lines and their selection of gloves is nonetheless impressive. While they have quite a few models with touchscreen compatibility, the Apex Etip is an excellent choice. Unlike other gloves that have only the index and thumb fingers with conductive materials, the Apex Etip has it on all 10 as well as the palm. The palm’s gripping overlay makes holding the phone much more secure- a feature that is very important but often forgotten. As for as sensitivity goes, these gloves are excellent. The Apex Etip is very comfortable to wear and isn’t restrictive on the hands. Both the men’s and women’s have gender-specific 5 Dimensional Fit for the best dexterity possible. This is especially a benefit for women who struggle to find gloves that fit their hand shapes properly and without excessive fabric. Additionally, these gloves Radiametric Articulation which gently keeps hands and fingers in a natural slightly curled position. This is more comfortable and reduces fatigue. As for weather resistance, these gloves offer more protection than the above Sierra glove. TNF’s Apex ClimateBlock glove shell offers both water and wind protection to ensure your hands are as dry and warm as possible. The WindWall fabric technology is a design that actually bonds the glove materials for maximum resistance to cold. While the men’s and women’s gloves are virtually identical, it does seem that women are more apt to find that these gloves aren’t warm enough. This could be because women are more sensitive to cold temperatures so if you are a woman, it’s something to consider. Adding a thin glove liner can help in very cold conditions. Sometimes you don’t necessarily need gloves just for just winter but for general outdoor activities when you might want a little warmth and hand protection. 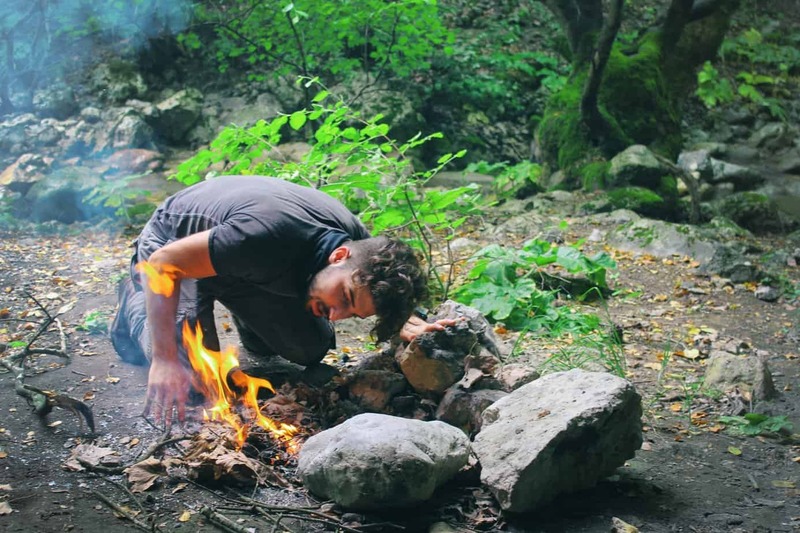 An excellent choice of glove for everything from hiking, camping, cycling, running and light work is the Outdoor Research PL 100. Outdoor Research gloves are fantastic and the PL 100s are no different. There are excellent gloves for year round cool weather use- whether it’s spring, fall or early winter. These gloves feel like a second skin and has very impressive touch screen sensitivity. The silicone gripping pads on the palm are positioned perfectly for holding a phone and preventing drops. The gloves fit very nicely and are fairly slim on the hands. They are unobtrusive and OR’s sizing is right on the mark. These are a slip on style glove but the elastic cuff and contoured wrist design ensure they fit closely to the hand. The elastic cuff also helps with preventing snow or other debris from entering the glove. The Radiant Fleece material is very breathable and surprisingly lightweight. At first glance these gloves look like typical thin liners but don’t be fooled. While they aren’t going to take on frigid winter temps or harsh winds, they will provide a surprising amount of warmth. To add to their versatility, the PL 100s easily fit into a jacket pocket and can also be used under most any winter glove for added warmth/protection. 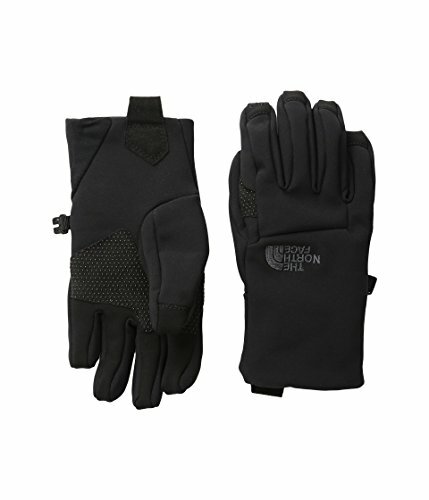 Like many well-made fleece gloves, these are very breathable and offer some natural water repellency. If they do get soaked from rain or wet snow they will dry out quickly. Care for these gloves it easy. Their high-quality means they won’t become fuzzy or pilled from proper washing and drying. Overall these are just nice gloves to have around for any outdoor enthusiast. Gloves are an important accessory so it’s no surprise many outdoor enthusiasts often end up with drawer full of various types. With touchscreen technology taking over, it can be frustrating to find that you have to remove your old gloves every time you want to make a call, send a text or check your email. Investing in a pair or two of touchscreen compatible gloves will make your life much easier and keep your hands warmer.